Course: English 294: The Literature of London 5 cr. ENGL 294, The Literature of London is a 5-credit class that surveys British Literature through the lens of London. Students will use historical and literary sites as focal points to learn about and analyze canonical British authors authors such as William Shakespeare, the Bloomsbury group, Oscar Wilde, Lewis Carroll, Jane Austen, and John Keats–as well as contemporary authors such as Kazuo Ishiguro and Zadie Smith. By taking the course, students will be learn about and also engage with British Literature of the past and present. Through educational walks through the streets of London, visiting cultural institutions like the British Film Institute, the Royal British Theater, and Oxford, students will be able to see the conversation between the historical and contemporary voices of London. Students will leave the course with the ability to discuss, analyze, and write about British literature, and also share their experiences with the Bellevue College community. This course will be a hands-on immersive learning experience that no on campus course can offer. Our study will include field trips to enhance our academic experience. 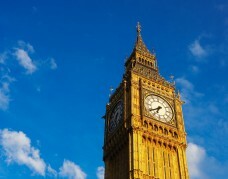 18 days exploring London, its outskirts, food, culture and politics.